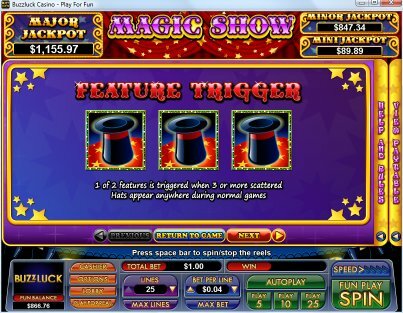 Overview: Witness moments of magic in this entertaining new Magic Show slot! 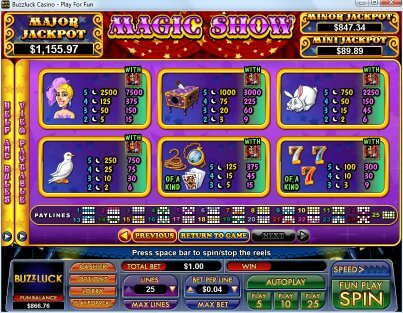 White rabbits are pulled from hats and magicians conjure huge wins in Magic Show, a new slot from Nuworks Gaming. 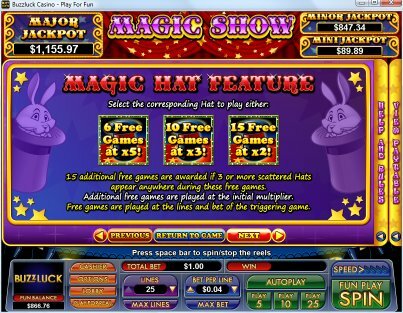 The Magic Hat Feature gives you the choice of playing 6 free games with prizes times 5, 10 free games with prizes 3 or 15 free games with all prizes doubled. 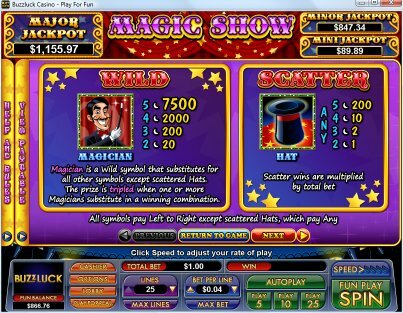 The Magic Show Feature will test your sleight of hand skills as you try to match the correct card to the Bonus Card displayed. 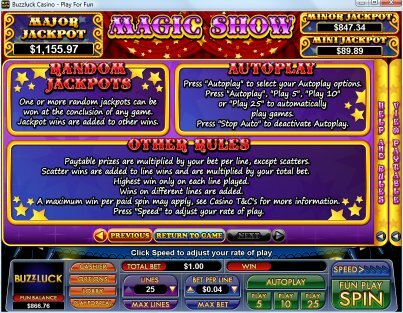 Win yourself up to 100 times your bet, and even have the chance to score yourself an extra 5 or 10 free games with prizes tripled. 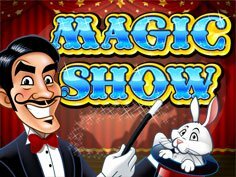 Get your wand ready and experience the charm that is Magic Show! 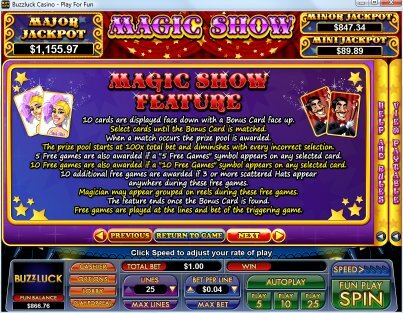 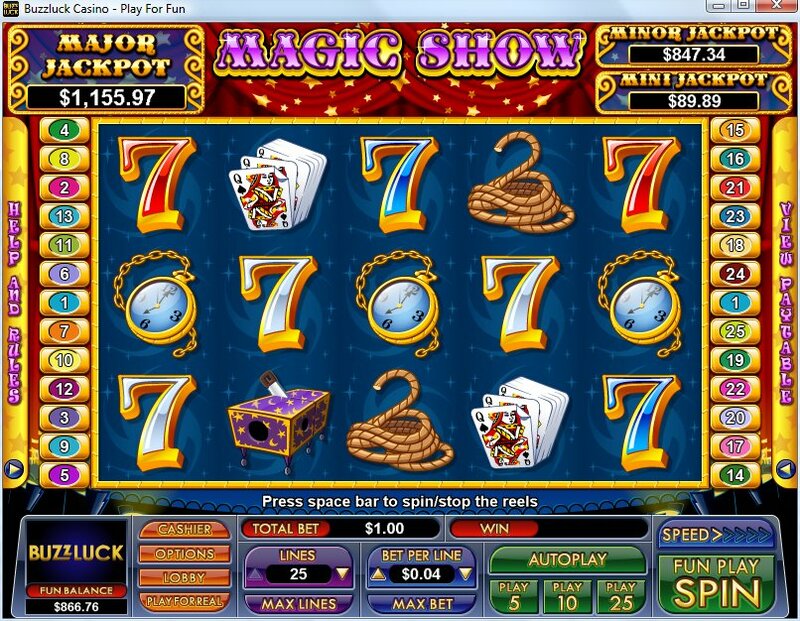 Similar Slots: If you like Magic Show, you might like these other slot machines from NuWorks: Fire, Wind and Water, Persian Queen, Samba!.